Smart Dubai has announced the introduction of a global online network that aims to connect cities by facilitating and promoting the sharing of knowledge and expertise between smart city stakeholders. The innovative project has been described as the 'first-of-its-kind' and was officially launched during this week's Smart Dubai exhibition which was entitled 'Future-Now'. 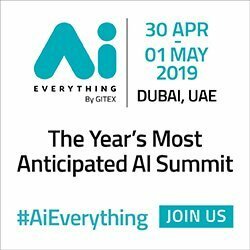 The global online network being created by Smart Dubai will attempt to bring all cities that share a passion for smart city development into the one ecosystem in preparation for Fourth Industrial revolution advancements that are expected. The network will consist of members made up of representatives from governments, the private sector, academic institutes and research centers. Members can join the network online and interact with one another through the global smart city directory. 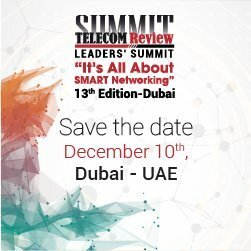 Smart Dubai and other network members can reach out to one another to collaborate on exchanging knowledge around implementation of smart city and technological initiatives, ecosystem enablement efforts supporting start-ups and entrepreneurs, skill development, publications, events, and awards. Director General of Smart Dubai Office, Dr. Aisha Bin Bishr said the creation of this global network was a bold step in its effort to establish an international network of smart cities. The Director General said, "At Smart Dubai, we firmly believe that embracing technology and embedding it in the very infrastructure of cities is at the core of smart city development. With the launch of the Smart Dubai Global Network, we are essentially taking a bold first step towards building the largest international network of smart cities. The Smart Dubai Office is extending its hand in partnership to all individuals and entities that share our passion for emerging technologies and encourage the exchange of knowledge and skills." Dr. Aisha Bin Bishr added that the program offered a unique opportunity for cities to form partnerships and work closely with academic institutes who are embarking on groundbreaking solutions that will transform our cities. She concluded by saying, "We look forward to working hand in hand with other ambitious cities from around the world, with research centers and academic institutes thinking outside the proverbial box to find original solutions to both longstanding and modern-day challenges, and with subject-matter experts dedicating time and effort to sustaining the smart-transformation momentum sweeping across the globe.